Can Honda Put The Bling Back Into The Next FCV – Fuel Cell Vehicle? The new Honda FCV Concept today made its debut at the Detroit Motor Show – pre a launch in Japan next year. But is it funky enough to challenge the Toyota Prius and the sexier green car options? The new model will feature seating for five passengers, a driving range estimated to be in excess of 300 miles, and an anticipated refuelling time of approximately three minutes. Its fuel cell stack, which fits entirely under the bonnet, is 33 per cent smaller with a 60 per cent increase in power density compared to that in the outgoing Honda FCX Clarity. 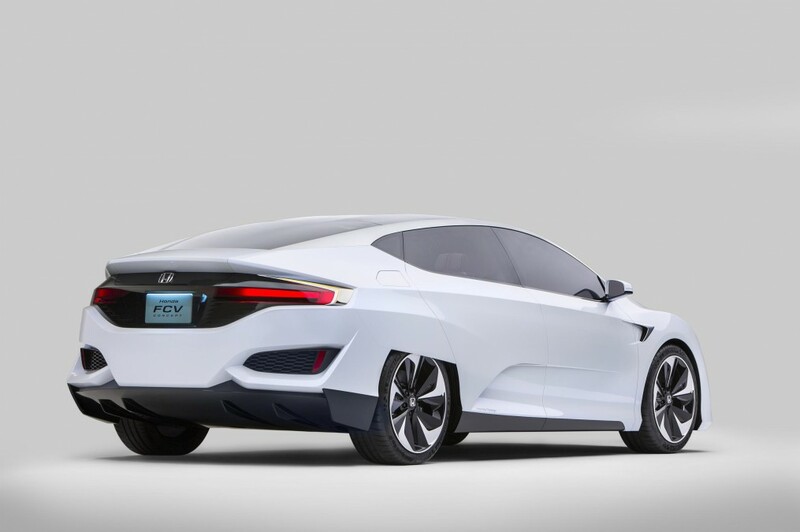 As the next progression in Honda’s dynamic FCV styling, the Honda FCV Concept features a low, wide aerodynamic body with clean character lines. The Honda FCV Concept made its world debut in Japan three months ago, followed by an announcement at the Los Angeles Auto Show that Honda will provide FirstElement Fuel in the US. This means $13.8 million in financial assistance to build additional hydrogen refuelling stations throughout the state of California in an effort to support the wider introduction of fuel-cell vehicles. The original Honda FCX became the first EPA- and CARB-certified fuel-cell vehicle in July 2002, going on to become the world’s first production fuel-cell vehicle when it was introduced in December 2002. New Acura Revealed At Detroit – Twin Turbo Mated To Three Electric Motors! Just how many electric motors can you fit under a bonnet these days? Todays reveal of the new Acura NSX reveals a trio of answers. 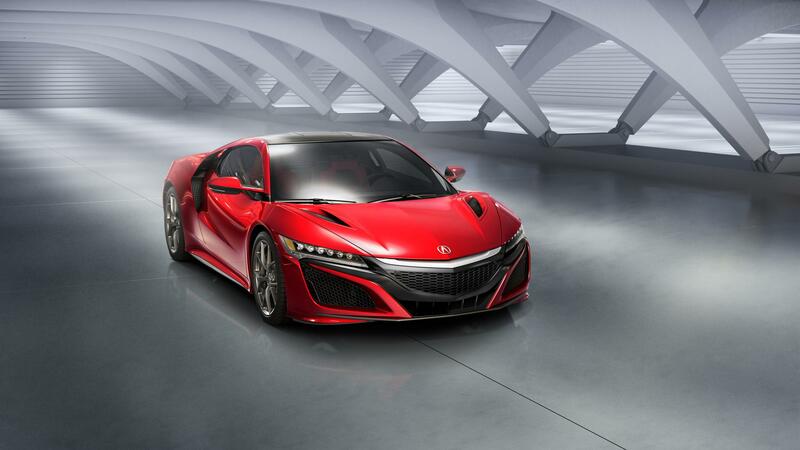 Built in Ohio, the NSX features a twin-turbocharged, V6 engine with a 9-speed dual clutch transmission and three-electric motor Sport Hybrid system. The company says the supercar has been developed under the concept of a ‘human-centered supercar’ – a car that puts the driver first. It was unveiled at Detroit at the same time as the new Ford GT, another iconic supercar that has a history dating back 75 years. The new GT packs 600bhp from its twin turbo V6. Both are mid-engined and both will cost well in excess of £100,000. What Is The UK’s Most Frugal Two-seater Sportscar? 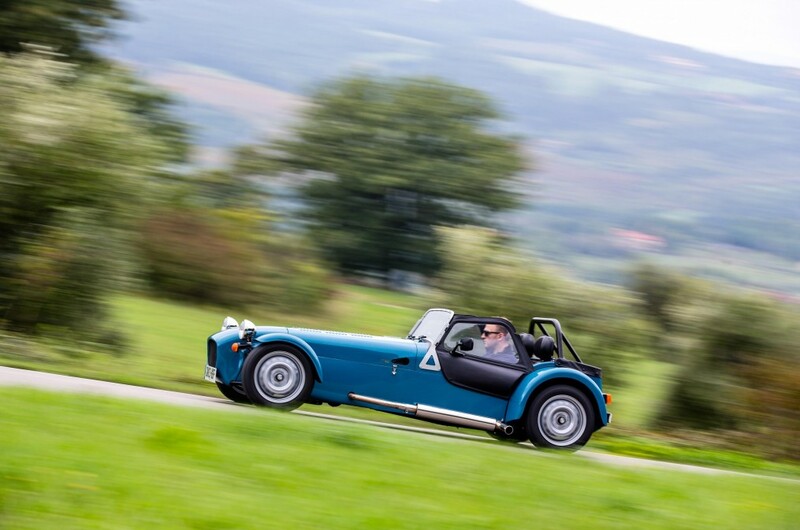 No, it’s not the Mazda MX-5 – it’s the new Caterham Seven 160. Surprised? We were too but the Lotus Seven-based racer. The newest model to join the ever-expanding Seven range is powered by a super-compact, turbocharged three-cylinder Suzuki engine, which enables it to achieve 57.6mpg and emit a lowly 114g/km CO2. The combination of the car’s live-axle rear suspension, efficient engine and ultra-low weight offer drivers the Caterham experience in the most affordable package yet. It is priced from £14,995 in component form and £17,995 fully built. The Seven 160 can also be taxed for just £30 per year. Producing 80hp from its 660cc engine and generating a top speed of 100mph, the 160 will reach 60mph in a swift 6.5 seconds. 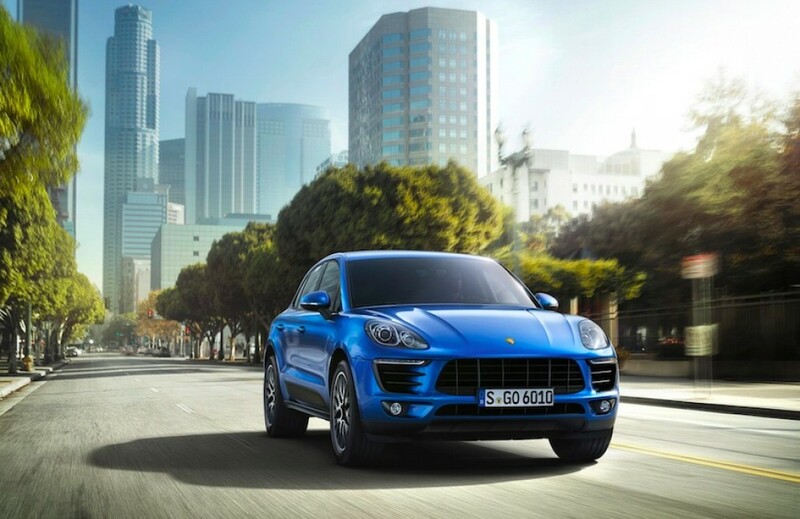 This is the all-new Macan – the sixth model in the latest range of Porsche cars. Yes, it does look like a smaller Cayenne but this mini-SUV also has a smaller price, starting at £43,300. Available to order now, it will be in UK showrooms from April. Styling of the Macan is no great surprise and Porsche will hope that it will steal sales from the BMW X3 in a fast expanding sector of the market. Unveiled at the Los Angeles Motor Show, there will be a choice of three models, including a top spec Macan Turbo with a 400bhp 3.6-litre V6 petrol engine. The big seller is expected to be the 258bhp diesel. The Macan is ‘Made in Germany’, produced at the Leipzig factory. Porsche has invested 500 million Euro in the plant and established an entirely new production line. The line is set up to produce around 50,000 vehicles per year. The Jaguar F-TYPE Coupe will make its global debut on November 19 at the Los Angeles auto show. The all-aluminium coupe range is based on the C-X16 concept debuted at Frankfurt Motor Show in 2011 and will complement the F-TYPE convertible, the existing 2013 ‘World Car Design of the Year’. Ian Callum, Director of Design, said: “The excitement generated when we revealed the C-X16 concept was terrific. 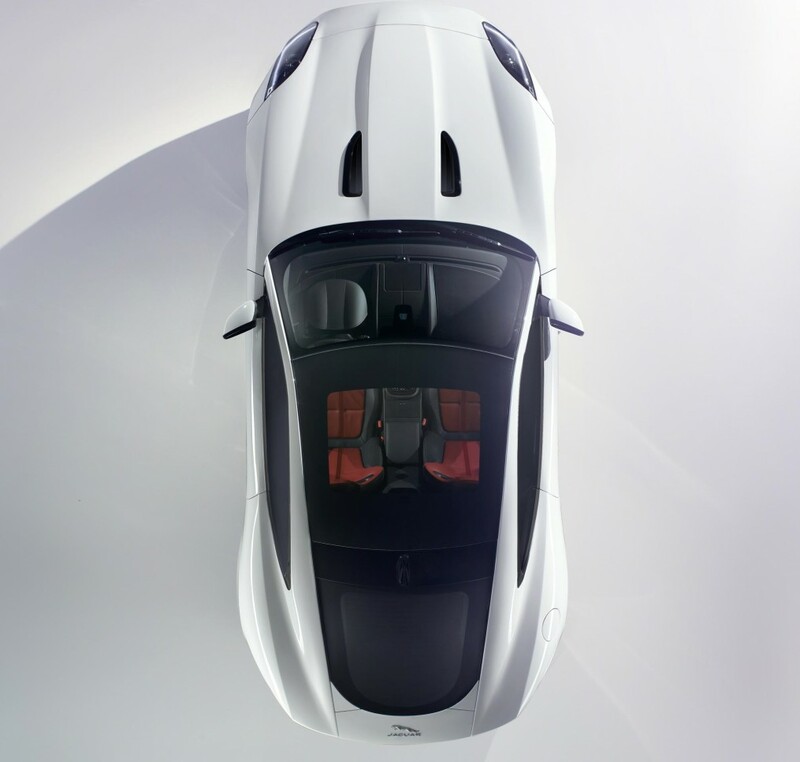 The F-TYPE Coupé is a very significant moment. The coupe version goes on sale in the UK in spring next year. Ssangyong‘s range of cars hasn’t always turned heads for the right reason but just take a peep at this new-look Rexton W.
Priced from just £21,995, the seven seater has been given a makeover that makes it as easy on the eye as the hugely popular Kia Sportage. Powered by the company’s 2.0-litre turbo diesel, it can be fitted with either a six-speed manual, or the Mercedes 5-speed T-Tronic automatic gearbox. 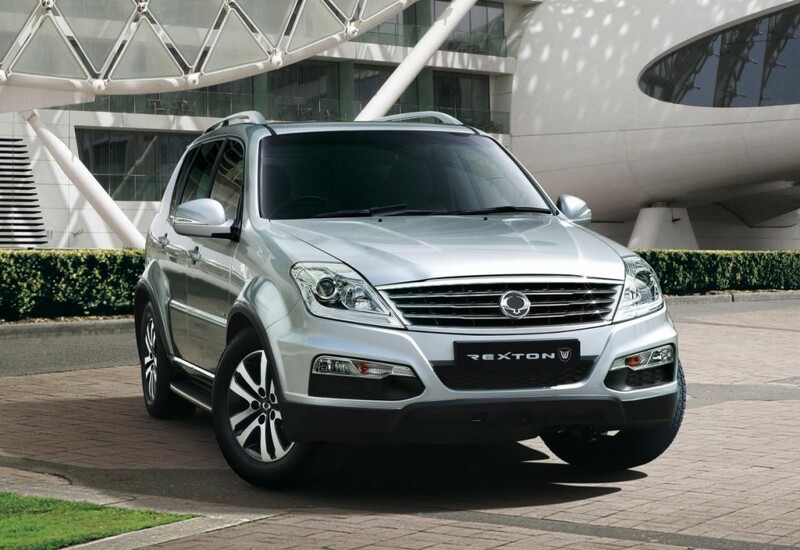 The Rexton looks like great value for money on paper – especially as it is backed up by a five-year limitless mileage warranty. A company in Australia is reported to have started building a new version of the legendary Mini Moke. Moke International is planning to build 1000 cars a year and may even introduce an eco-friendly electric version. The car is based on the original 1964 version (pictured) which was created by Sir Alec Issigonis as a military style vehicle for the Forces. While the military weren’t impressed, the Moke was a hit in warmer countries, where obvious features like a roof and doors weren’t so important. 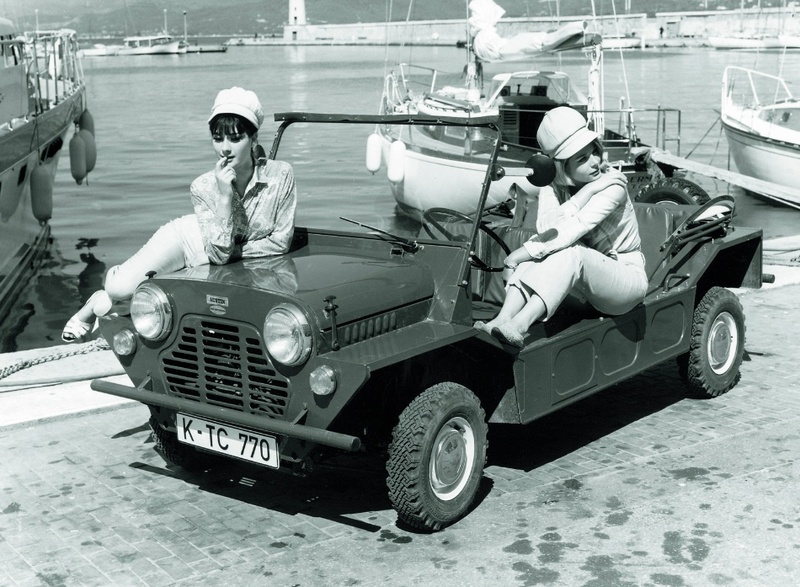 Over the years, the Moke has somehow remained cool and chic. It continued to be built in Portugal until earlier this year but now has the chance of a new lease of life.